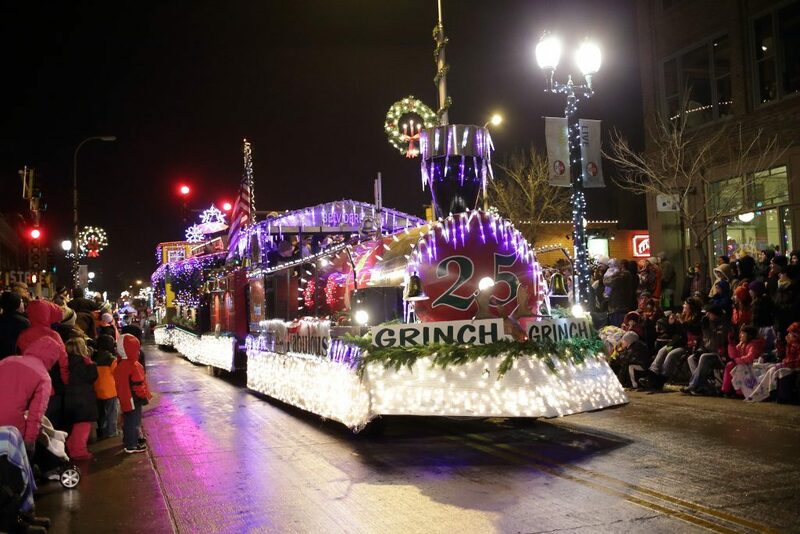 The 27th Annual Parade of Lights is a classic downtown Sioux Falls event that’s a tradition for city locals while also bringing visitors from all over the region. We’ve put together a list of tips that will help with the first-timer or returning parade-goers. Come downtown this Friday, November 23 at 7:30pm and watch dazzling lights travel down historic Phillips Avenue. Before you go, make sure to read these 10 Tips for the 27th Annual Parade of Lights. We can’t control the weather but local weathermen are predicting a mild Thanksgiving Thursday through Friday. We’ll always recommend to bundle up though. Break out the coats, hats, gloves, blankets, etc. and enjoy the crisp, South Dakota air! The parade starts promptly at 7:30pm and we’re expecting a lot of people so get to downtown Sioux Falls before 7:00pm. Keep in mind street closures begin at 6:45pm on Phillips Avenue. There’s plenty of parking (but we’ll get to that later) with a variety of activities to do before the parade. Do some shopping, check out Winter Wonderland, grab a drink or get a bite-to-eat in historical downtown. Parking is FREE on the weekends beginning at 5:00pm on Fridays. Of course you can park in the streets in the surrounding area but prepare to walk. Use a downtown parking ramps or parking lots with over 2,300 spaces (compared to 1,000 street spaces) and stay close to the parade. 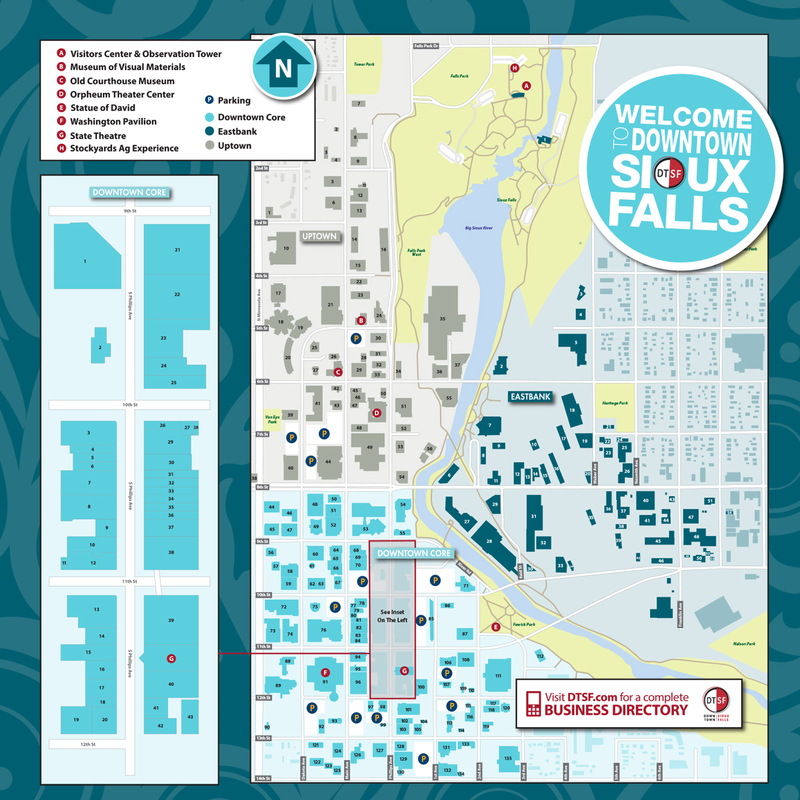 Find parking ramp and locations with this map. ADA parking is available at the Commerce Center building, 200 N Phillips Avenue. Here’s a couple tips to ensure you’ll have a great spot to view the parade. Refer to #2 on the list; come early to find spots along the parade route. Travel to North Phillips Avenue to find the perfect spot; the route goes from 13th Street to 5th Street with plenty of space! Folding chairs are allowed just be mindful of the many people standing. Six local non-profits will sell hot chocolate for $2 on every block of the parade route, so bring cash and support the community! The Grand Marshals this year are Sioux Falls Convention and Visitors Bureau Executive Director Teri Schmidt and Lincoln County Commissioner Jim Schmidt. The Jr. Grand Marshal is Nick Ellerbroek who you may recognize as the mini-mascot for the Sioux Falls Canaries and the Sioux Falls Stampede. All three of these individuals share excitement and have impacted the city of Sioux Falls. Our tip; give them an enthusiastic wave when you see them! This is a record-breaking year with over 70 entries in the parade! From classic floats to new entries, keep track of your favorites to find out who will win one of six awards given away. Warm up after the parade with FREE cookies and cider at the Parade of Lights After Party & Award Ceremony hosted by the Holiday Inn City Centre. This event is open to the public and will feature holiday lighting, live music and a cash bar. And speaking of awards…stick around for the Award Ceremony and to find out if your favorite floats (remember #7) won an award! Like we said before, we’re expecting a lot of people in the downtown area Friday night. Remember to embrace the holiday spirit and be kind while sharing the area with the community. In the unfortunate situation that you can’t come to the parade, watch the parade through live stream. Go to the KELO-TV Home for the Holidays page this Friday at 7:30pm. The holidays are a chance to make memories and we’re honored you’re doing it in downtown Sioux Falls! There’s a reason this parade has been around for 27 years and it’s because of this community coming together to celebrate. Our tip: Take pictures and post to social media with #dtsf and #pol27! Start (or keep making) a tradition of attending the Parade of Lights.